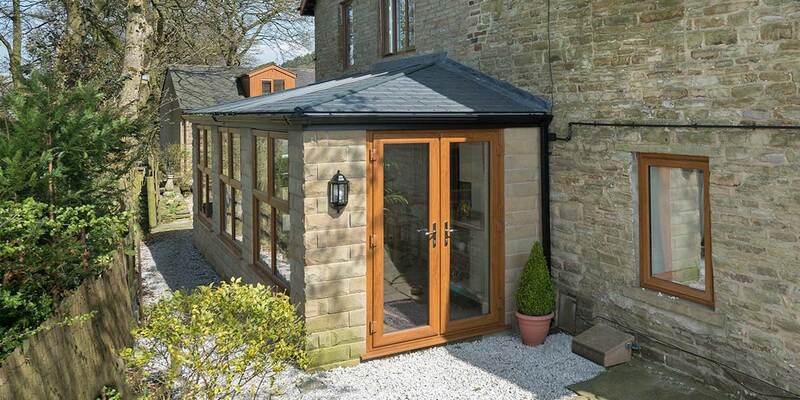 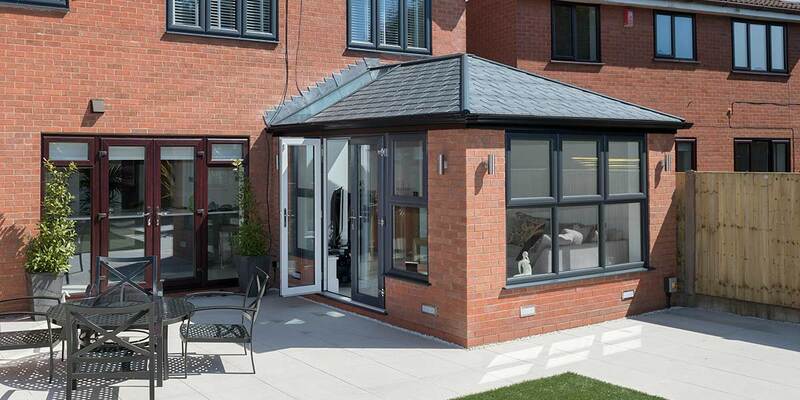 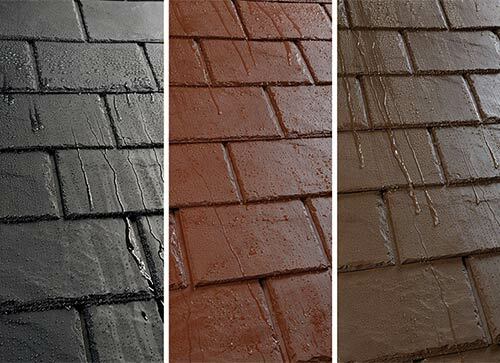 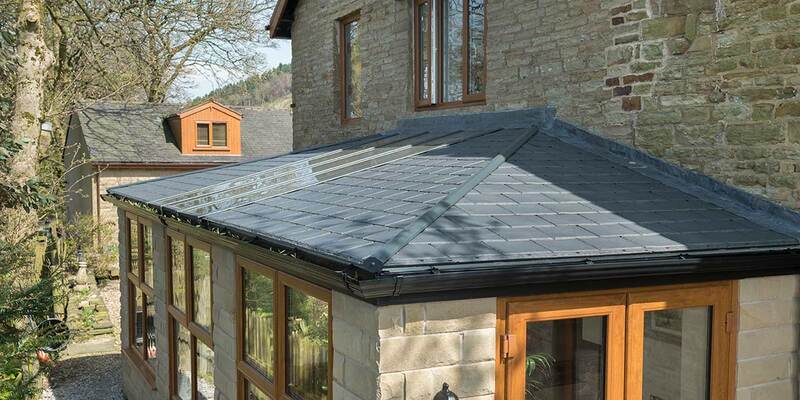 The UltraRoof 380 is a thermally efficient slate tiled roofs ideally suited for conservatories, orangeries and many other types of home extensions. 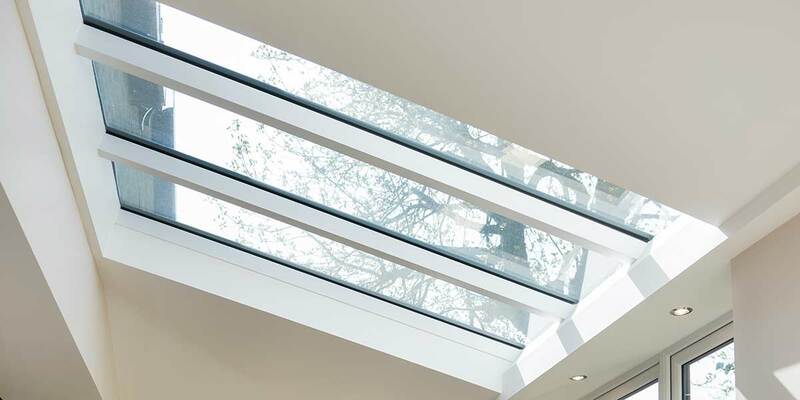 UltraRoof feature large, made-to-measure rectangular glass panels that can be incorporated into the roof design to deliver natural light and sky views. 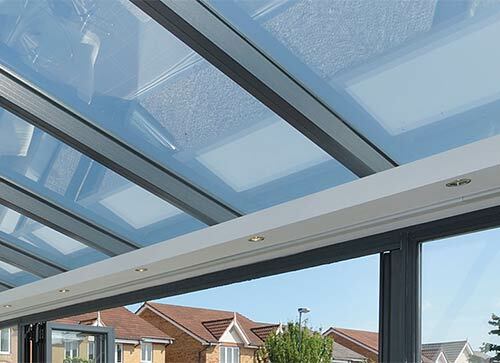 The glazed areas of an UltraRoof can be fitted with various types of performance glass which boast qualities such as heat retention, solar reflection and self-cleaning to create a comfortable, enjoyable place to be all year round. 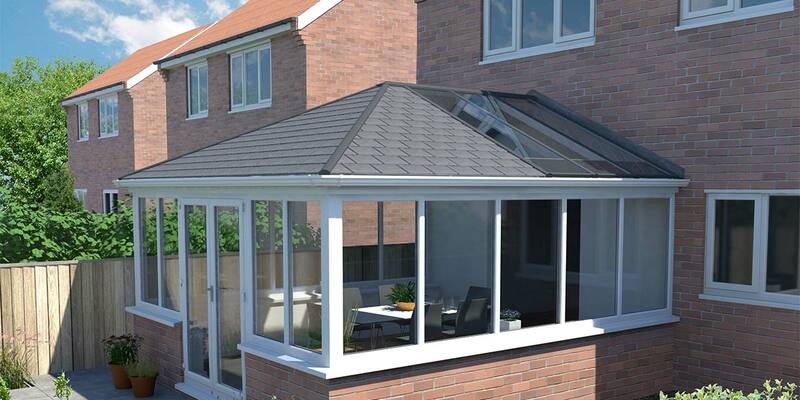 UltraRoof can be designed to fit new or existing Gable, Lean-To, Edwardian, Victorian Conservatories and a range of Orangery designs. 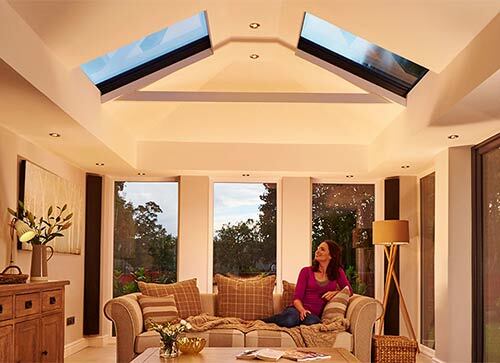 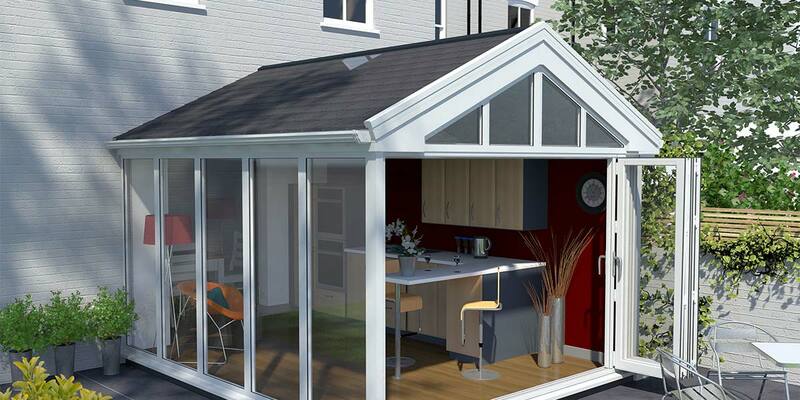 If you already have a conservatory you can minimise the cost of revamping it with an UltraRoof 380 by replacing the roof only, and having it installed on top of the existing windows, doors and base. 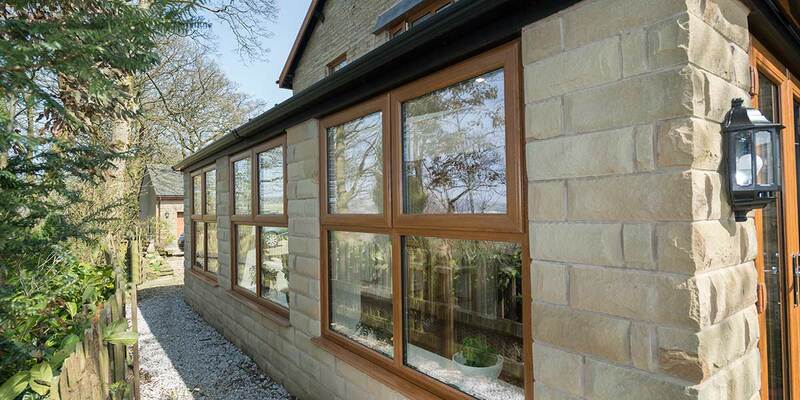 Existing windows and doors will, in most cases, be in a suitable condition to remain in-situ, but we will perform all the necessary checks as a matter of course. 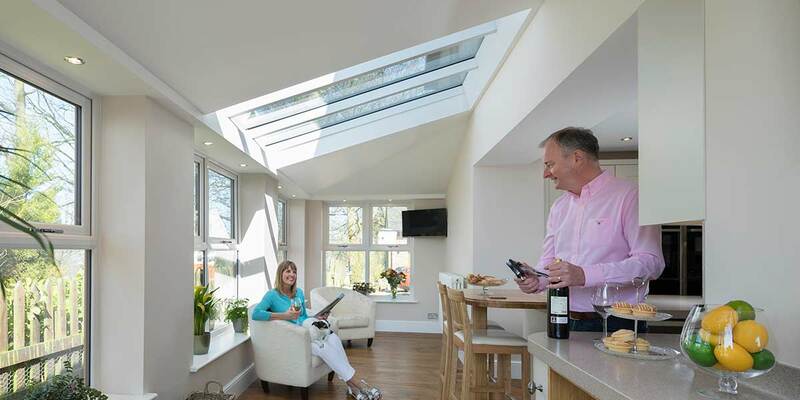 It takes less time than you think to fit an UltraRoof 380 onto a conservatory and, once the old roof has been removed, a watertight covering can be achieved within the space of 2-3 hours and the whole roof can often be completed within one working day. 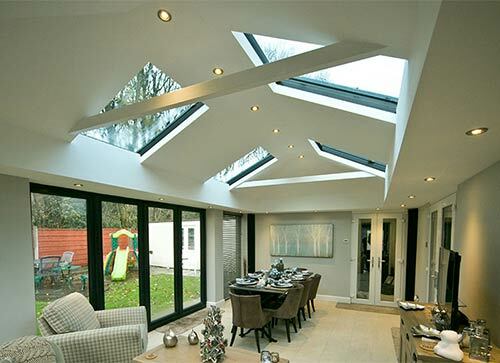 Upon completion, you’ll notice the improvement in room temperature almost immediately. 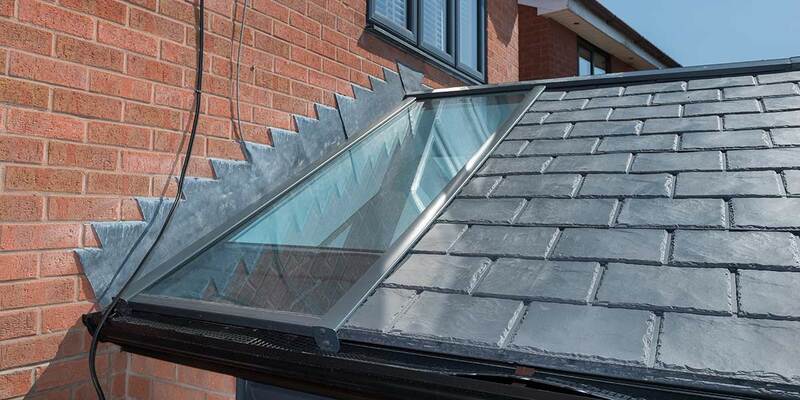 UltraRoof 380 is of course equally suitable for new build solid roof conservatories and home extensions. 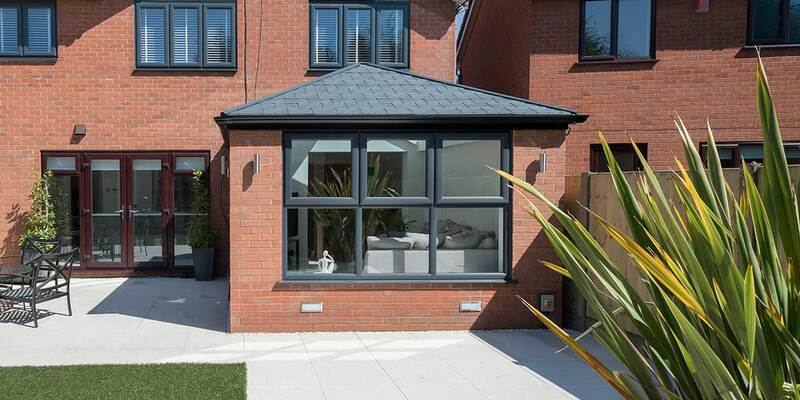 Many people now choose to improve and expand their home to make it more suitable for their lifestyle, rather than moving to a completely new property. 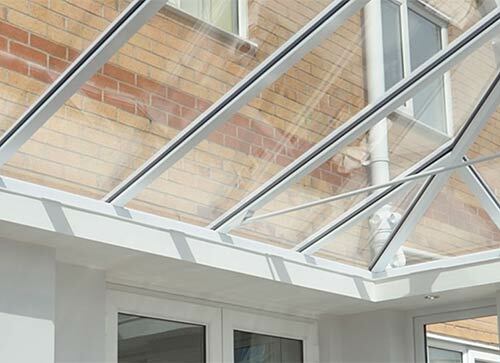 Fitting an UltraRoof 380 to a new build project is one of the simplest and quickest stages of the process and will reduce overall build time significantly, as well as the disruption caused to you. 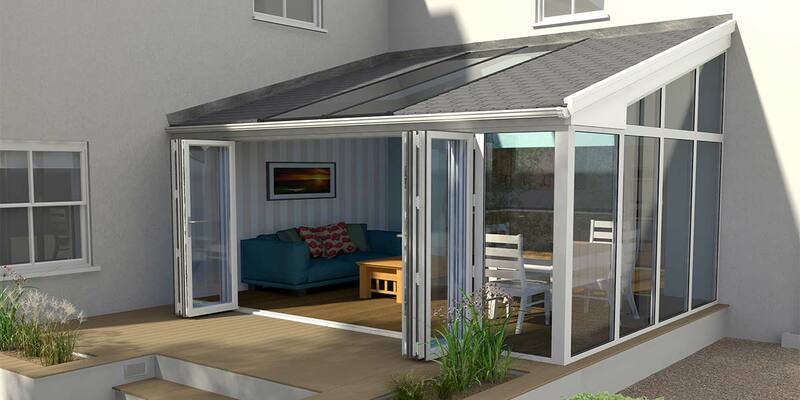 Because every UltraRoof is factory-made and pre-assembled during quality control, there is very little excess material and waste created on-site, and our installers can create a watertight room in just one day, meaning that internal plastering and decorating can also begin much sooner. 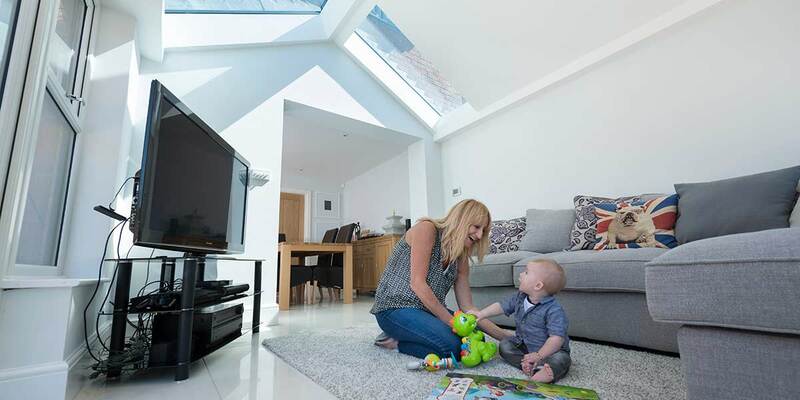 UltraRoof 380 is an LABC (Local Authority Building Control) and LABSS (Local Authority Building Standards Scotland) approved roof system which, put simply, means that it will be much easier to receive Building Regulations approval, should your project require it. 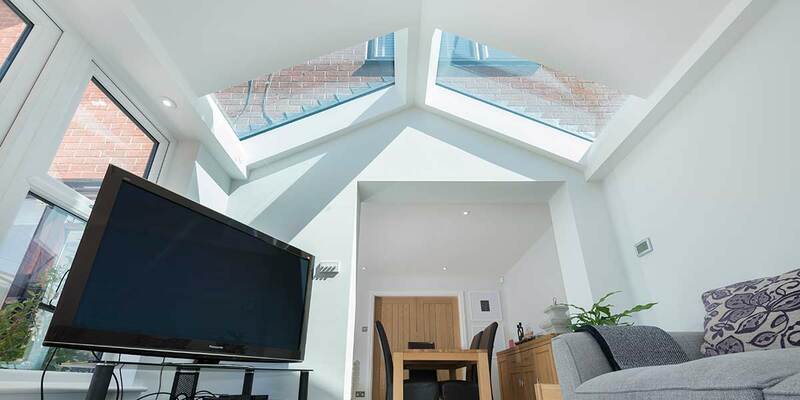 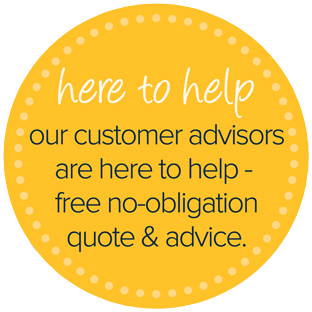 Our design consultants will be able to talk you through the ins-and-outs of building regulations and, in many instances, we will be able to act as an intermediary to obtain Building Regulations approval on your behalf. 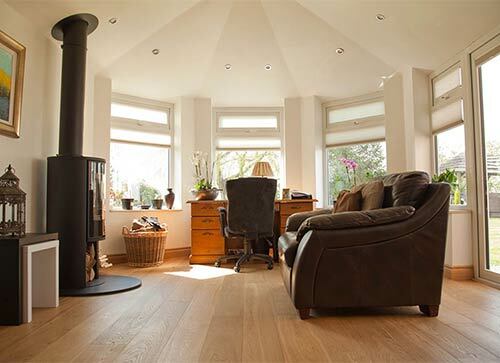 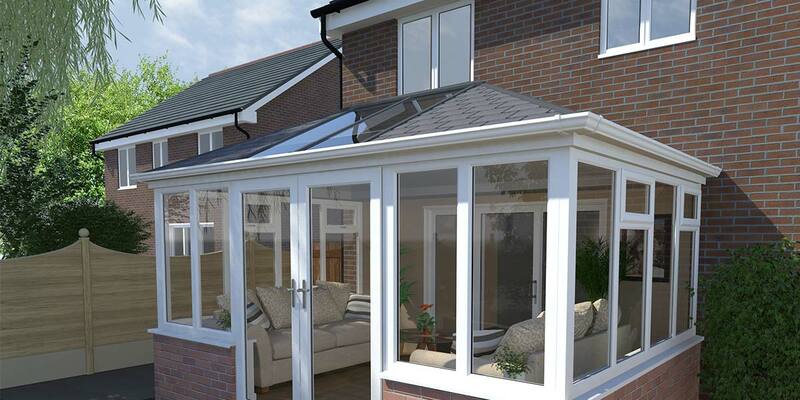 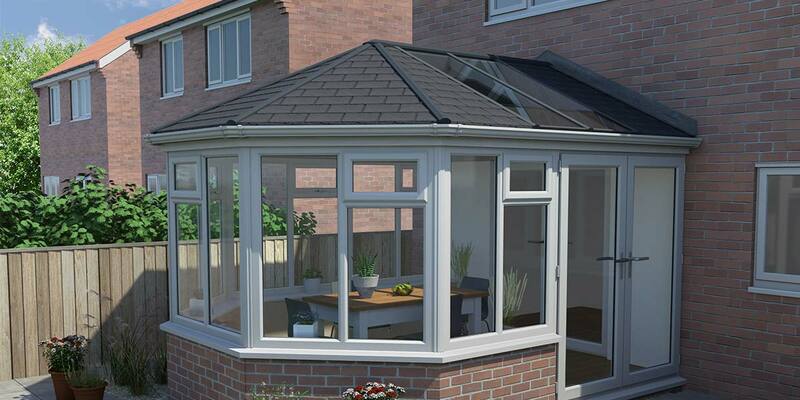 One of the foremost reasons why so many homeowners invest in solid roof conservatories is to achieve a more thermally efficient room that offers a comfortable room temperature regardless of the outdoor weather. 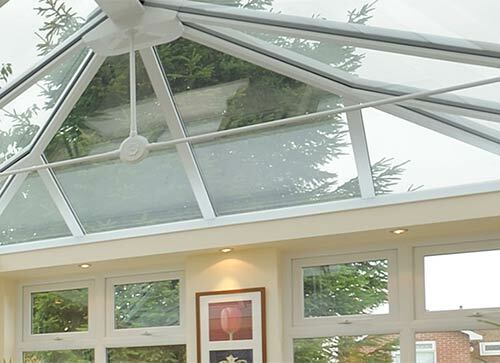 Older conservatories fitted with a polycarbonate roof are the best example of how the room can be too cold to use in winter, and too hot to use in summer. 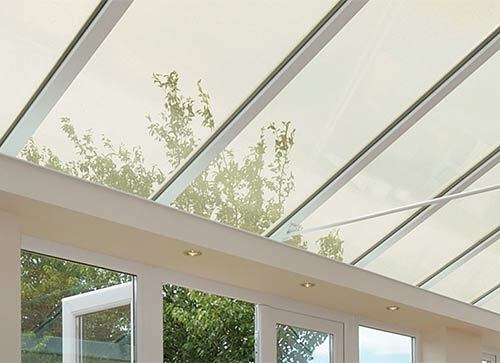 Glass conservatory roofs go a long way towards solving this problem and are far better at controlling the movement of heat that is allowed in and out of a room but, unquestionably, the best solution is a solid roof like UltraRoof 380. 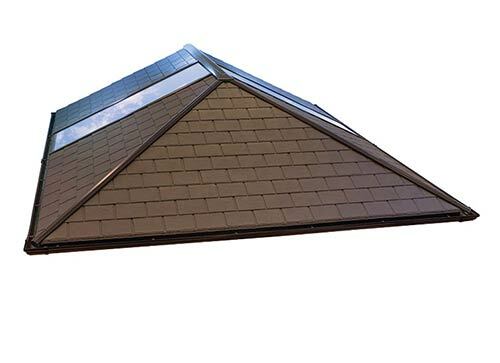 Capable of achieving an enviable u-value (heat loss value) of just 0.16 W/m²K, UltraRoof 380 is one of the most thermally efficient, lightweight roofing systems available. 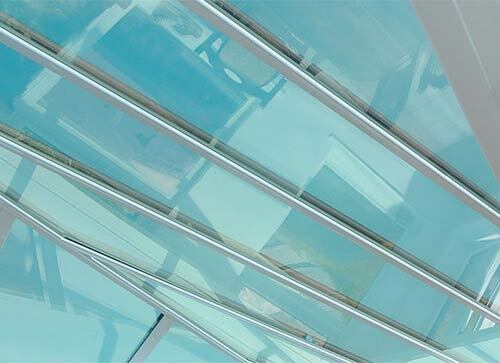 And, what’s more, large rectangular glass panels can be incorporated in the design to facilitate overhead natural light and views of the skies above – please see Glazing Options for the u-values of the various performance glass types that we offer. 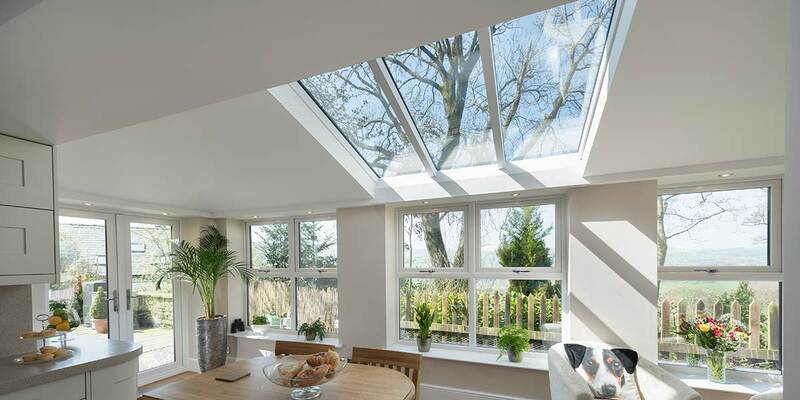 Designed to fit seamlessly as a replacement roof for an existing conservatory, orangery or as part of a brand new home extension, the UltraRoof is a thermally efficient tiled roof that can incorporate large, rectangular glass panels, adding both luxury and natural light. 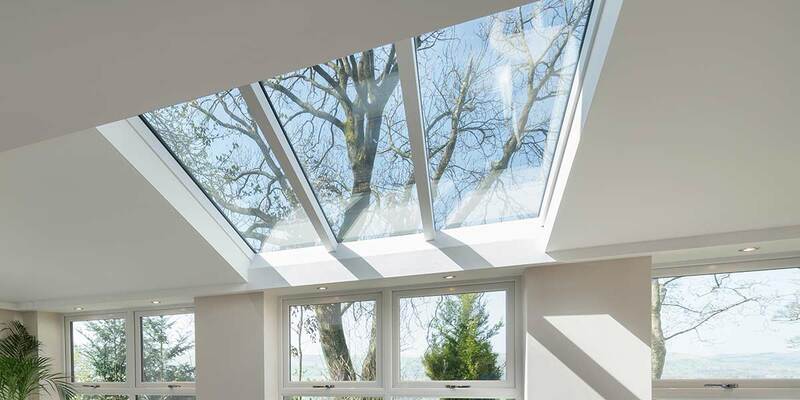 To compliment the thermal efficiency of UltraRoof, you can choose from a range of performance glazing for your glass panels, which boast qualities such as heat retention, solar reflection and self-cleaning. 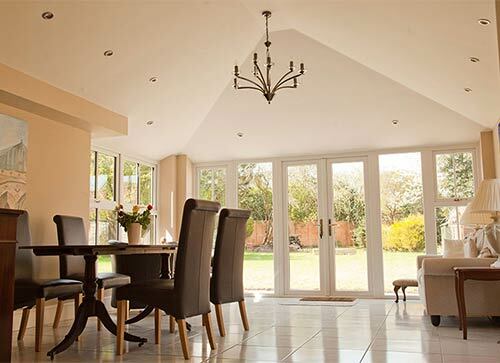 Internally, an attractive plastered ceiling completes the cosy feel to your new home improvement.